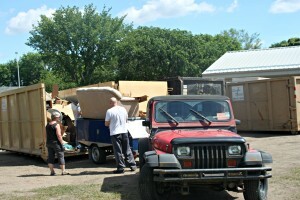 Every spring/early summer, the Montrose Community League hosts Dumpster Day. This is similar to the City’s Big Bin events that are held throughout Edmonton, but this is put on solely by the Montrose Community League. 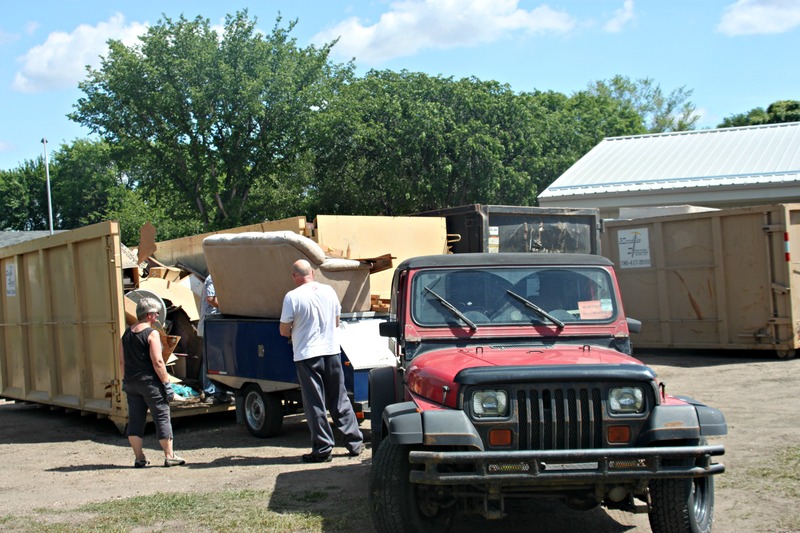 If you have anything that is too large for back lane/curbside pickup, or just haven’t had time to take them to an Eco Station or the City dump, you can bring it down to the Montrose hall to get rid of those items. There are some limits to what we can and cannot accept. We do accept electronics (computers, TVs, almost anything with a cord) and appliances that do NOT contain CFCs/refrigerant (aka Freon). However, we CANNOT accept batteries (of any kind); hazardous materials (e.g., paint, oil, pesticides, light bulbs, bleach, etc. ); anything with CFCs/refrigerant (e.g., fridges, freezers); concrete; or commercial waste. You do have to be a resident in the community league (i.e., what you’re dropping off is from your place in Montrose) and a Montrose Community League member to be able to drop things off, but memberships are always on sale there — cash only. Keep an eye out on our Facebook page for specific details on when it is happening.